Rat anti Mouse IgG1 antibody, clone LO-MG1-13 recognizes the gamma 1 heavy chain of mouse immunoglobulin. No cross reactivity with other immunoglobulin classes or subclasses. Purified mouse IgG1 from BALB/c mice.  This antibody may be used as a coating antibody in a sandwich ELISA in combination with LO-MG1-2 (MCA336P) as the detection reagent. Soares, M. et al. (1992) Isotype characterization of rat preformed natural antibodies against guinea pig cells. Transplant Proc. 24 (2): 451-2. Laffont S et al. (2017) Androgen signaling negatively controls group 2 innate lymphoid cells.